– I saw this picture and just bust a gut laughing. Maybe I was in a weird mood. – There was a huge racket this week about people finding the Lost City of Atlantis using Google Earth. Google denied the fact, and even came up with an alternate explanantion. – And the United States people wonder why they are in financial trouble. – I sent this link on a business card to a Designer friend of mine, Robert L. Peters from Circle [edit: at the time of this post, both sites seem to be down for some reason]. I thought this was a cool idea, and Rob pointed out that the environmental impact of the business card was quite high. What do you think? – I found this video of a pretty cool climb, but I had some issues with it. First is the camera motion. Sure, technically I’d say they did pretty well: smooth motion, clean arc. But it didn’t take me long to get nauseous. The next thing I had a problem was the climber went off route on a red point. She went so off route on the second clip in the video that she had to clip below her feet. I’d really like to know what the person who set the bolts thought the route should have been. Natalija Gros from Jure Breceljnik on Vimeo. – I wasn’t quite sure where to put this, but since I didn’t have any links for writing this week, I figured this was a good spot as any for the Grammer Nazis. I’m still playing with the formatting of the weekly links. I’d like to have each link paragraph as a point, but it looks like my CSS layout doesn’t like that. – DanMeth.com blogged about movie trilogies, and placed each movie on a meter. I think I agree with most of his ratings. – Many people are aware that Harry Potter, The Anarchist Cookbook and Stephen King books have been banned from schools around the country, but as many civilizations have figured out, censorship is a slippery slope. It is pretty strange to consider Shakespeare has not only been banned from public schools over sexual themes, but that censored editions have been out since the 1700s. – Sticking with the Buddhist theme, a temple has been built by monks in northeast Thailand who used over a million recycled beer bottles to make the walls and roofs. – Apparently, there is liquid water on Mars. Images from the robotic craft show what appear to be liquid droplets growing, merging, and dripping on the lander’s leg over the course of a Martian month. Another short one this week. I guess sometimes you find lots of stuff that’s interesting, and sometimes you don’t. SciFi watch has a blog entry on the nine Science Fiction Writers blogs you should watch. SF Signal asked 10 writers what the most difficult part of being a writer was. These are their answers. Not many of us actually get to see what is at the end of the rainbow, so this guy took a picture for us. I haven’t posted a YouTube video in a long time. This one just grabbed me and made me laugh out loud. This weeks links list is a bit small, but very, very good. Brandon Sanderson is releasing his newest book under a Creative Commons License. You can find it here. He’s also placing all versions of the book on his website. You’ll get see how the book changed from the first draft to the final version. Speaking of free books online, this site has pointers to lots of Fantasy and Science books. Each year hundreds of words are dropped from the English language. Old words, wise words, hard-working words. Words that once led meaningful lives but now lie abandoned and forgotten. To go with the rest of the links this week, we have Jeffrey Carver asking if free downloads sells books, which is what it’s all about. OK, if a writer is literate enough to write and publish a book, couldn’t he or she manage some basic research into natural history and astronomy? There is enough ignorance in the world without broadcasting more through sheer laziness. A passage in a fantasy novel I read recently described the crescent moon setting at sunrise. Now, class, why is this impossible? Neil Gaiman did a video for Coraline. It’s filmed in his house, and it’s pretty cool. I remember when I first booted up Ubuntu on my computer three years ago that I wasn’t very impressed with the dull black usplash screen. It gave me a feeling that I was back to the Windows 95 era. There’s a long history of syncing mobile devices with Linux. That long history is mostly filled with one device not synchronizing, followed by another device not working, followed by another. Help may be here. Achieving a feat that seemed impossible not so long ago, a team of scientists working with the Hubble Space Telescope captured the first visible-light image of a planet orbiting another star. I saw this picture, and it was just too funny. A qubit walks into a bar, unsure of whether to order drink A or drink B. If the bartender asks the qubit what it wants, the qubit will collapse and be destroyed. 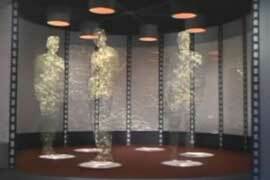 But now researchers can instantly teleport the original, intact qubit to another “bar” far away. it seems series developer id Software is looking to grow the series at least a little beyond those simple roots. In an update to his personal Web site, British author Graham Joyce announced that he is now working on id’s upcoming Doom 4. The Books and Authors blog talks about how Science Fiction has changed and some books that are against the trend. Monks just wanna have fun. Jason Winter monitors his entire houses power usage, non invasively, and tracks the data on the web. Some of the world’s most stunning visions of space are made possible with Photoshop. The ability to combine vibrant colors, photo manipulations and ethereal effects makes the software ideal for this kind of work. Here are 40 incredible visions of space from four extremely talented Photoshop artists. A leading light in science fiction is heading to Saskatoon’s light source synchrotron. Acclaimed Canadian sci-fi author Robert J. Sawyer will be the first ever writer-in-residence at the massive scientific facility. Sawyer, who has written 20 novels and won the coveted Hugo and Nebula awards, told CBC News he is excited about what he calls a “once in a lifetime” opportunity to hang out with working scientists. From Novelish: I searched the interviews of twelve successful fantasy authors to find their advice for aspiring authors, which I’ve compiled in this entry. Click on a name to jump to it, or scroll down to read through the full article. 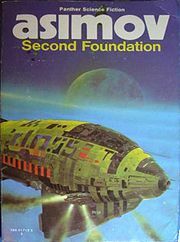 Columbia won an auction late Thursday for screen rights to “Foundation,” Isaac Asimov’s ground breaking science fiction trilogy. The film will be developed as a directing vehicle for Roland Emmerich. The N8VEM Single Board Computer (SBC) is a home brew Z80 small computer project. It is made in the style of vintage computers of the mid to late 1970’s and early 1980’s using a mix of classic and modern technologies. The beauty of fractals in the real world. The David Gemmel Legend Award will be presented for the very first time in 2009 for the best Fantasy novel of 2008. The award will be given to a work written in the ‘spirit’ of the late, great David Gemmell, a true Master of Heroic Fantasy. I’ve been a David Gemmel fan for a long time. Jane Lindskold define what she thinks Hard Fantasy is. An older article by Marie Brennan can be found here. The Fantasy Magazine blog has a feature on Taboos in Speculative Fiction. The WolFire Games blog has an article on why you should support Mac and Linux when writing software. Your Money or Your Life, a comic about programmers. Google used its booth at Macworld this year to show off some of the things it was working on with Apple, particularly for the iPhone. But the coolest thing at their booth didn’t have much to do with Apple at all: A hacked Nintendo Wii Balance Board (from the game Wii Fit) used to control Google Earth. This is a timelapse map showing the spread of WalMart across the US. Scary stuff. I’ve taken a recent interest in Quantum Mechanics and found this video on you tube with Robert Anton Wilson describing Quantum Physics in layman terms. And last, but certainly not least, a t-shirt that makes fun of those of us that blog for only a small handfull of people. Odyssey is continuing their writing podcasts. This one is Nancy Kress talking about writing in scenes. It’s a question that comes up quite often — back in the 1960s a typical SF novel ran to 60,000 words (130-150 pages); one that topped 80,000 words was considered lengthy. But today, I’m more or less required by contract to hand in 100,000 word novels; and some of them are considerably longer. (At 145,000 words, “Accelerando” would have been considered a whopper back in the 1970s.) So what happened? The magazine of Fantasy and Science Fiction is going bimonthly. The March 2009 issue will be the last monthly issue. Starting with the April/May 2009 issue, we’ll be publishing one issue every two months. Each issue will be 256 pages (16 pages longer than our last Oct/Nov issue) except for this year’s anniversary issue, which will be a jumbo. Mastering the all you can eat buffet is, apparently, and art form. Nothing can beat having a great Linux distro installed on a super-fast hard drive, with all your favourite apps configured just how you like them and all your files at your fingertips. That’s not always possible, so how about from a USB drive? An interesting article on how hardware is cheaper than software in some situations. In 2009, Linux will ship on more PC’s than Windows. Well, at least that’s what the rumor is. Information Week looks at what it all means. The Linux Foundation saw those successful I’m a Mac commercials, and Jerry Seinfeld playing with Bill Gates, and they wanted in. So they’re having a video contest that will try and showcase “just what Linux means to those who use it, and hopefully inspires many to try it.” Gizmodo thinks it’ll be one big mess. Okay, so you’re driving… drunk. You’re boyfriend is in the seat beside. You end up rear ending someone, and your boyfriend dies. What do you do if you live in the United States? Why, you sue the driver of the vehicle you rear ended, of course. Have you ever met someone famous, someone you admire (or not)? This article is geared towards meeting an author, but it applies across theboard. The book industry is doing what everyone else is doing right now… floundering. The article was originally from Salon.com, but I found it at Agent in the Middle. It’s depressing, but really, the book industry has been in trouble for a long time.